Original Tuscan Wedding started in 2004 as the first native English-speaking wedding planning agency in Tuscany. Our names are Elizabeth & Ann, founders of OTW, and we are American and English women who have lived in Tuscany for more than 20 years. We specialize in creating memorable bespoke events only in this beautiful region of Italy. Our background is in sales, marketing and logistics, as well as interpreting and translating. We have recently added to our team by taking on Monica to work specifically with styling and onsite coordination thanks to her experience in the fashion industry. One of the keys to our success is that we are “foreigners” just like you so we understand how to incorporate your important traditions with local Italian flare. 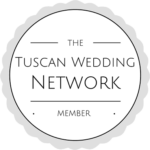 We are a team of logistics experts who can make your event stress-free while assisting you to achieve the look and style you desire for your wedding in Tuscany. Write to us describing what you are dreaming of for your wedding in Tuscany and we will give you suggestions and venue ideas.